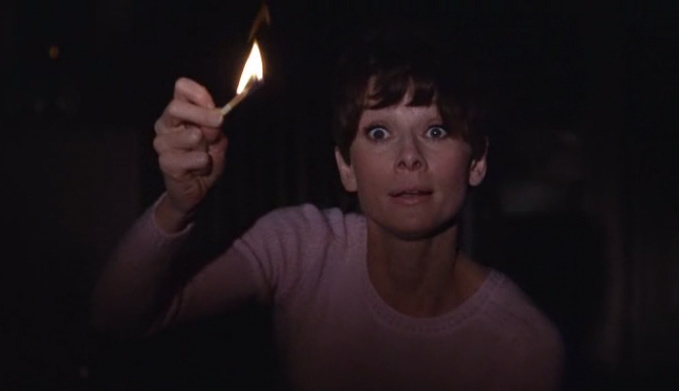 My mother recommended I check out this ’60s thriller Wait Until Dark. She said that when she saw it in the theater, they had an ambulance parked in the lobby in case anyone had a heart attack or something. I wish they still pulled gimmicks like that – spice up things, y’know? I didn’t have to be resuscitated while watching the film, but hot damn is there some thick suspense in this one. It’s directed by Terence Young, who did a buncha Bond films, and it’s based on a play, which makes sense being that it takes place in essentially one room in a tiny apartment. Everything from the set up to the climax is pulled off really well, in particular Mr. Alan Arkin’s absolutely terrifying role. Smash the light bulbs and let’s dig in.